Between November 6th and December 3rd, 2018, two aircraft fresh off the production chains of the Russian Helicopters group, a Mi-171A2 and an Ansat, formed part of a promotional tour in South-East Asia. Throughout a journey of some 5,000 km, the two aircraft were presented to potential buyers, from China to Malaysia, via Vietnam, Cambodia and Thailand. An incisive step, even if it was conducted through countries already historically linked to helicopters of Russian origin. The countries of Southeast Asia and their sustained economic growth do not only make Western manufacturers dream. Russian Helicopters Holding, a company of the state-owned Rostec State Corporation, intends to gain market share, and not just through the sale of military equipment. 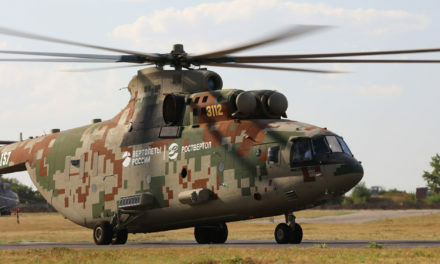 In this case, the demonstration tour wanted and developed by the manufacturer, carried out between November 6th and December 3rd, intended to stage two aircraft for civil markets: the Mi-171A2, the most popular version completed to date of the very prolific family Mi-8/17/171, and the Ansat, a light twin-turboprop developed in the 1990s and built by Kazan Helicopters. 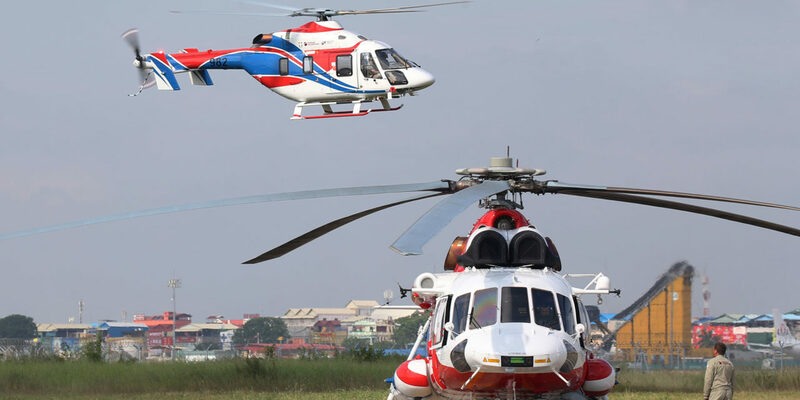 According to Andrei Boginsky, General Manager of Russian Helicopters, the forecast demand for civilian helicopters in Southeast Asia will be around 420 aircraft over the next ten years. A perspective that explains the appetite of the Russian manufacturer when it undertook to embark on this promotional tour through five countries of the region. The starting point of the circuit, judiciously chosen, was the Zhuhai Chinese Air Show, open to visitors from November 6th to 11th 2018. 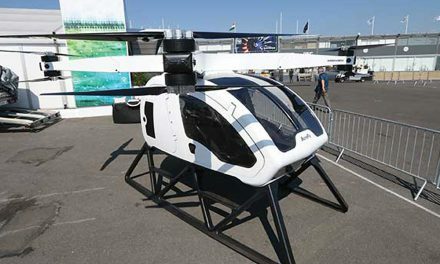 Displayed in the static area, the two helicopters then participated in the flight demonstrations, before taking off on November 12th for Hanoi, Vietnam, where they were officially presented to local operators on the 16th of the same month. “In the aftermath of the Chinese Air Show, I note that interest in Russian Helicopters has grown significantly, especially after their participation in the Zhuhai Air Show Demonstration Program. Russian Helicopters enjoys strong relations with Southeast Asian countries. We therefore hope that the demonstration of the Mi-171A2 and the Ansat’s functionality will not only enable us to negotiate successfully, but also to receive letters of intent for these aircraft, “explained Andrei Boginsky in the early days of the two helicopters’ tour. It is true that on November 8th, the manufacturer had announced that the Emergency Medicine Association of the People’s Republic of China had ordered 20 Ansat helicopters, which are described as “designed to provide first aid and medical evacuations, including in inaccessible areas and at remote landing sites.” On the menu of services offered by the Ansat is in fact the integration of a module providing the aircraft with capacity for intensive care, critical care and monitoring of vital parameters during transportation to a hospital. Russian Helicopters has pointed out in passing that since 2017, eleven medicalized Ansat were delivered to regional emergency medicine services in Russia and that seven others will be delivered by the end of the year, under the federal project framework to deliver “Timely Provision of Emergency Medical Services to Remote Areas of the Russian Federation“. 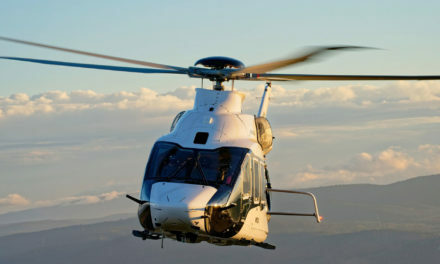 In addition, last September, JSC Russian Helicopters, the national airborne emergency medicine service, and Avia Capital Services (a subsidiary of Rostec specialized in leasing, financing, purchase and sale of aircraft and civil equipment) signed a contract for the delivery of 104 medicalized Ansat helicopters. During its South Asian tour, the manufacturer also worked on the issue of after-sales service. In Vietnam, the Russian-Vietnamese joint venture Helitechno has been in existence since 1994. In a quarter of a century, this company has taken over the repair of more than 80 civilian, state and private property operators based in Vietnam, Laos, Cambodia, India, Australia and New Zealand. And Russian Helicopters points out that Helitechno is to date the only maintenance and repair center in Southeast Asia where the monitoring of repair yards is provided by technicians seconded from the Mil factory in Moscow. After Vietnam, the Ansat and Mi-171A2 took to the air once more to land on November 20th in Phnom Penh, Cambodia. Here again, the issues of technical assistance and the financing of new aircraft were addressed by the delegation of Russian Helicopters Holding. On November 26th, the Ansat and Mi-171A2 landed in Bangkok, Thailand, on the U-Tapao property. The country is also already a customer of Russian Helicopters. “Our holding company strives to strengthen our relations with state and private actors in this country. The first deliveries of type Ka-32A11BC helicopters [a twin-rotor coaxial helicopter used inter alia for fire-fighting, carrying heavy loads on a sling, search and rescue missions, note] are scheduled for the end of 2018. The demonstrations planned with the Mi-171A2 and Ansat therefore seem very timely, “said Andrei Boginsky on this occasion. “Southeast Asia, including Thailand, is a strategic region for Rostec. We intend to develop a lot of cooperation, in several areas,”said Anatoly Serdyukov, Industrial Director of Rostec’s Aerospace Division. As proof, the Moscow holding company is installing a service center there. Signed in February 2018 with the Thai company Datagate Co. Ltd., a protocol of intention provided for the establishment of a maintenance center (MRO) specialized in the repair of Russian-made helicopters. On December 3rd, the two helicopters left Zhuhai and reached Kuala Lumpur, the Malaysian capital, for the last stop on their South Asian tour. For in-flight demonstrations, the chosen site was none other than Sepang’s International Formula One circuit. The Malaysian operators invited for the occasion were able to approach the aircraft and directly question the crews and engineers present. 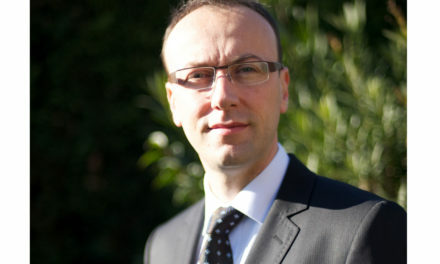 At the end of this demonstration, Andrei Boginsky attended a press conference. Well delivered, this charm offensive will have lasted almost a month. Nearly a thousand potential customers will have been approached throughout the tour, whether they are state or private prospects. “The formal requests received over a month relate to more than 70 helicopters worth more than half a million dollars over the next three years,” said Denis Manturov, the Russian Minister of Industry and Trade commenting this campaign for the two helicopters. The registered contracts are in turn firm orders and letters of intent. Of the 70 helicopters involved, 50 relate to the Vietnamese, Cambodian, Thai and Malaysian markets. The other 20 relate to the firm contract, cited above, signed last November 8th with the Emergency Medicine Association of the People’s Republic of China.